LINCOLN, Neb. 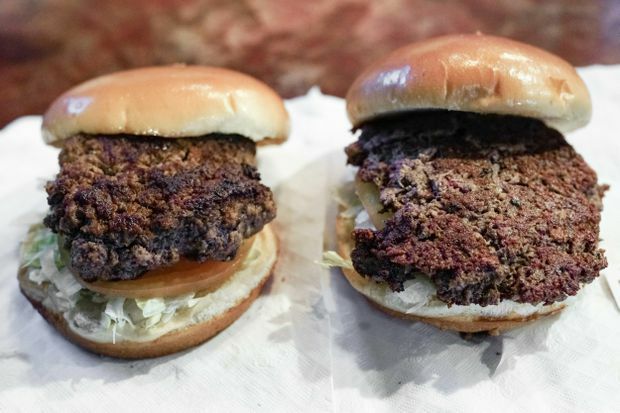 – More than four months after Missouri became the first US state to regulate the term "meat" on product labels, Nebraska's strong farm groups are pushing for similar protection from veggie thugs, tofu dogs, and other things that look and taste like real meat. Nebraska lawmakers will consider a bill this year to prevent companies packing and selling food from advertising plant-based, insect-based and lab-grown products such as meat. Similar measures are pending in Tennessee, Virginia and Wyoming. The problem hits a particularly strong chord in Nebraska, one of the country's top states for livestock production, where cars roll down interstate with "Beef State" plates and the governor annually proclaims May as "beef month". Farm groups have found an unusual ally in the state of Sen. Carol Blood, a city living vegetarian from Omaha suburb of Bellevue. Blood raised on a farm said she introduced the measure because agriculture is Nebraska's largest industry and must be protected for the whole state. "I don't bring this bill to tell people what they can and can't eat," she said. "All I ask for is truth in advertising. It is clear that meat comes from domestic animals and livestock is our livelihood in Nebraska." 7 and had the most fodder cows as of last year, according to the US Department of Agriculture. Animal and animal product sales generated an estimated DKK 12.1 billion. USD for the state's economy in 2016, according to USDA's latest available data. The measure is sure to counteract resistance from food producers selling plant-based alternatives, as well as working with the growing science of meat grown by growing cells in a laboratory. Critics say the bill overrides the freedom of rights for companies that produce vegetarian alternatives to real meat. Good Food Institute, Missouri's American Civil Liberties, Animal Legal Defense Fund and Plant-based Food Company Tofurkey have filed a federal lawsuit challenging Missouri Law. They claim that the law unfairly impedes competition. The Nebraska bill "would censor food labels and create consumer confusion where there is no one," said Jessica Almy, Washington's chief-based Good Food Institute chief of police. "You can't censor speech just to promote an industry's economic success." Supporters of the Nebraska measure say they will ensure that people are not misled by what they eat. Blood said she suggested the measure after seeing two women in a grocery store who could not tell if a product contained meat or a substitute. She said her proposal would not require product brand inspections that Missouri law does. The Nebraska bill would prohibit "any misleading or misleading practice", including claiming that a product is meat when it is not derived from livestock or poultry. Violation of the law would result in a criminal offense that could be punished by up to one year in prison and a $ 1,000 fine. "Consumers have the right to know what they are buying," says John Hansen, president of the Nebraska Farmers Union. "That's the case, whether it's a vegetarian product or not. There should be clear, honest and accurate labeling, and let the marketplace make choices." Hansen said that his group's livestock producers are particularly concerned about whether consumers will be able to distinguish between meat grown in the laboratory and farmer-cultivated beef, pork and chicken. Pete McClymont, chief executive of the Nebraska Cattlemen group, said his organization's concerns stem partly from the growth of products labeled as almond and soy milk, which has become an increasingly popular alternative to cow's milk. McClymont said his group still has to go through specific details about the Nebraska proposal, but will push for any law that protects state livestock producers. "When I go out and talk to our membership, this is close to the top of what people are passionate about," he said.